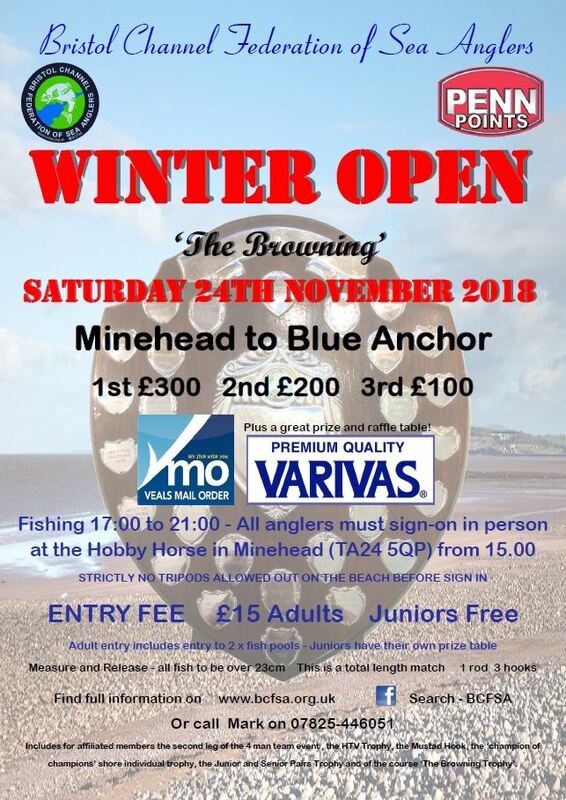 The Bristol Channel Federation of Sea Anglers (BCFSA) Winter Open ‘The Browning’ was being fished between Minehead and Blue Anchor. Nearly one hundred anglers hit the beaches of West Somerset to compete in one of the Channels largest shore fishing events of the year. Conditions were far from ideal, with strong winds making the sea almost unfishable. On his first cast of the day he came up with a 38cm whiting followed not long after by a 45cm dog fish. The two fish made him the top scorer in his team. The catch was enough to make him equal second in the individual event which netted him a prize of £150. 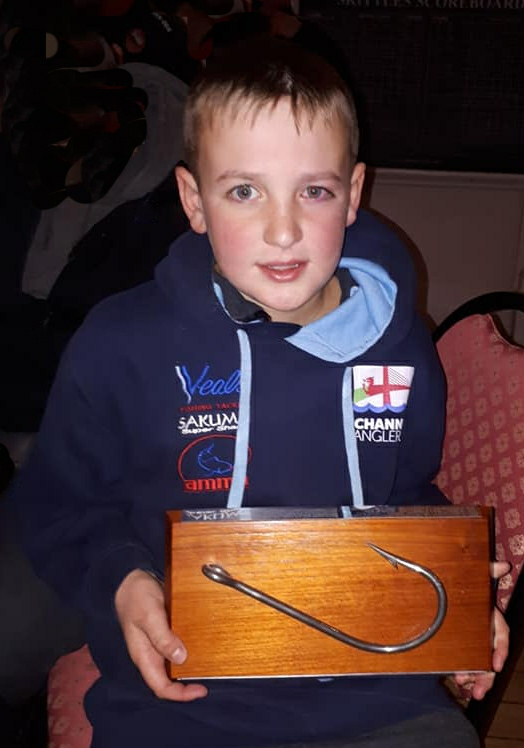 The twelve-year-old beat some well seasoned senior match anglers in what was a very good performance in adverse conditions. He was using a Zziplex Match Primo sea fishing rod with an Infinity 8000 reel, with three-hook clip downs and two-hook clip downs. Jack would like to thank all those who have helped him achieve these results. In particular Andy Madsen team captain, Craig Butler of West Coast Tackle for supplying the bait and Steve Liddle of West Coast Angling Centre for the replacement reel. He is a Year 8 pupil at Worle Community School in Weston-super-Mare. He a member of Channel Anglers, Sea Angling Club. Jack is coached by James T Madsen and sponsored by Baytree Road Garage, Weston-super-Mare.